Call me a sentimental Romantic. But I cannot help turning to poetry to help channel the angst I felt inside me after reading Paul Biya’s decree reorganizing the GCE Board and converting it into a parastatal – short of calling it a business venture. As I read the last line of the decree I could hear in my mind nothing but this addictive chorus: “We fall in tatters like the whipped wings of butterflies” from Netsayi’s song “Tatters” which itself is inspired by Mbella Sonne Dipoko’s poem titled “Our History to Precolonial Africa”. Like the wings of whipped butterflies. Yes, since 1961 we have seen the coats of our identity like the authentic hides of leopard skins transformed into prints of false lion fabrics. Like false prints of Cotonou fabric from China that fade way and snap apart after a few washing sessions, we have seen our identity for the past 57 years fall in tatters like the whipped wings of butterflies. When I first saw news headlines with a few references to the high points of the presidential decree transforming the GCE Board into a parastatal and restructuring its composition and powers, I said to myself that probably Biya was responding to demands by teachers for the technical education exams taken by Anglophone students to be harmonized to reflect the Anglophone system of education. I thought Biya at last thought of compensating the South West and North West regions for giving him a landslide victory in the just ended presidential election. I could not be so far from the truth! It turned out he seemed to be punishing English-speaking Cameroon for giving the nation the lowest election turnout in the history of the nation. A turnout that opposition lawyers argued at the Constitutional Council was enough for the elections to be annulled in the whole country. It turned out probably, Biya was punishing English-speaking Cameroon for forcing its grievances into the national debate after the Senate and the National Assembly had reneged on their responsibility to examine a constitutional crisis that has plunged the nation into civil war. 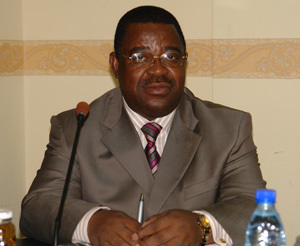 To argue their case for the annulment of the presidential elections, the lawyers for the opposition parties had argued that the state through the Constitutional Council was giving legitimacy to the arguments of secessionists by validating results for an election that took place while the largest chunk of the population in Anglophone Cameroon could not vote either because they were hiding in the bushes, were in refugee camps in Nigeria, were internally displaced in other parts of the country, or were just plain too scared to go out and vote in an atmosphere where they were not sure if an angry secessionist fighter or a trigger-happy soldier was lurking somewhere in the neighborhood waiting to take out any moving thing shaped like a human. Yes, Paul Biya is vindictive and, together with the Anglophone scribes who helped craft his decree that reorganized the GCE Board, they have spat salt on our injury by driving down another nail on the coffin of the cultural identity of English-speaking Cameroon. They have given the secessionist the last reason to believe that the Federalists are either clueless slaves refusing to run to freedom or they have been bought over by Paul Biya and thus cannot see the damage he is causing us as a people. Who can be this naïve to believe that under Paul Biya Ambazonia can ever get back its institutions that he and his predecessor, Amadou Ahidjo, erased in the first place? While the nation (both at home and in the diaspora) is transfixed by the machinations that Paul Biya’s cohorts played on the opposition parties, the old man is silently chipping away at the fragile props of the last bastion of Anglophone Cameroon identity. To give him some merits, Paul Biya’s Presidential Decree relieves Anglophone students of the burdens of Francophone oriented technical certificates exams like Probatoire and Baccalaureate. But then, in the same breath, it takes away the mechanisms that can ensure the academic integrity and prestige of all the exams that the Board administers. It thus, cheapens the certificates awarded. Most damaging is the scraping off of the role of the University of Buea (UB), teachers, parents, and lay private and confessional educationists. Thus, the Board has lost its communal attributes which enabled it to run the examinations and certificates awarded in partnership with both state and civil society stakeholders. The decree has killed one of the most important characters of the Anglo-Saxon education system that has been one of the hallmarks of Anglophone Cameroon identities. 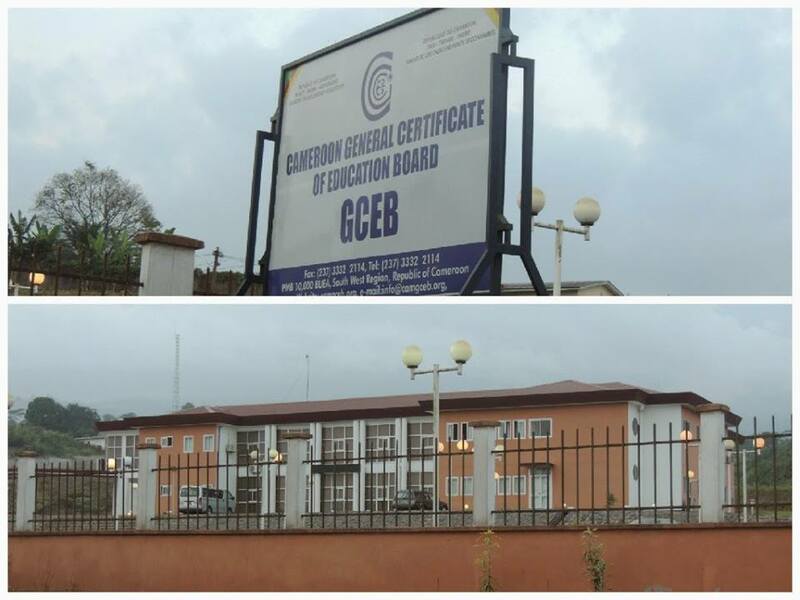 Twenty-five years after parents and teachers braved water cannons and police brutality to fight for the creation of the GCE Board, the institution has been watered down to nothing but a shell of its former self. Check back for Part Two of this story which takes a critical analysis of the provisions of this accursed decree! After Internet Restoration, What Next? Has Kondengui become the only price for embezzlement?